With Our people, Communities and the Environment. In BANASA we care for our best resource: workers and their families. Also our neighbors and the environment. Sustainable Products with the Highest Quality. 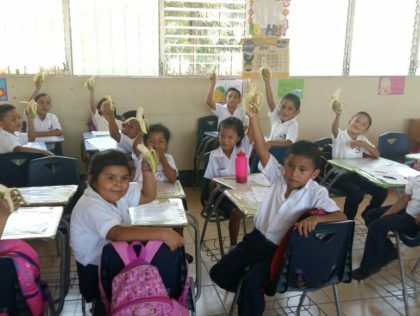 BANASA Is an agro-industrial food company, leader in Central America, with more than 38 years of experience in the cultivation, marketing and export of bananas worldwide. 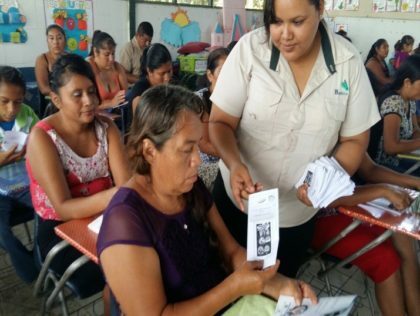 (Español) Los programas de RSE de BANASA están estrechamente alineados con los Objetivos de Desarrollo Sostenible de las Naciones Unidas y varios de ellos abordan la seguridad alimentaria. 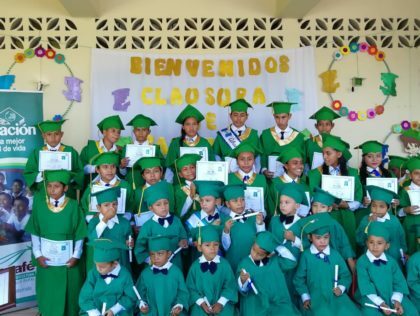 Parents, teachers and students celebrated the 2018 graduation of the third class of “Sexto Primaria” of the Mojarras School. The School for Parents consists of spaces for information, training and reflection, aimed at parents on aspects related to parental functions.